Infrastructure as a service (IaaS) is a type of cloud computing model that allocates virtualized computing resources to the user through the internet. 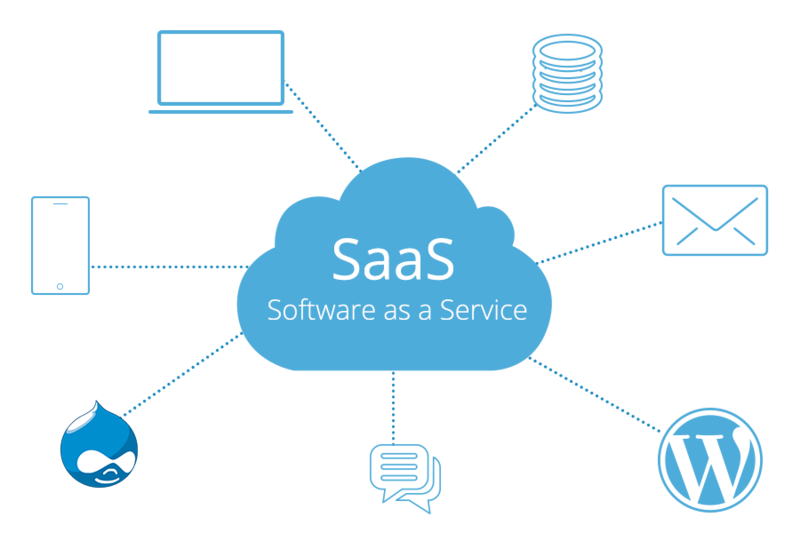 IaaS is one of the main components of cloud computing along with software as a service (SaaS) and platform as a service (PaaS). IaaS is completely provisioned and managed over the internet. The IaaS technology helps the users to avoid the cost and complexity of purchasing and managing their own physical servers. Every resource of IaaS is offered as an individual service component and the users only have to use the particular one they need. The cloud service provider manages the IaaS infrastructure while the users can concentrate on installing, configuring and managing their software. As the cloud buyers rent a space in the virtual data center of the IaaS provider, they get the access to the virtual data center through the internet. IaaS provides the raw materials and basic infrastructure for IT and ensures affordability as the users only have to pay or the resources they use. The cloud service providers enable the users to rent the virtual servers and storage while forming networks in order to tie them all together. While renting from a cloud IaaS provider, users are essentially renting hardware along with the provisioning software that automates it. In the IaaS technology, the cloud service provider hosts the IaaS infrastructure components that are traditionally present in a data center including network hardware, servers, storage and the virtualization of the hypervisor layer. The IaaS provider also provides a wide range of services to accompany the infrastructure components. Just like all the cloud computing services, IaaS provides the users the access to computing resources in a virtualized environment. This is done through a public connection usually through the internet. IaaS provides the users the access to the virtualized environment for establishing their own IT platforms. IaaS provides resources that are especially belonging to virtualized hardware which is also known as the computing infrastructure. The offerings in an IaaS environment include network connections, virtual server space, load balancers and IP addresses. In physical terms, the cloud service provider extracts the pool of hardware resource from a group of servers and networks that are usually spread across various data centers and the cloud service provider is responsible for managing all the resources. IaaS provider also offers relative services to the users for supporting the infrastructure components that include monitoring, detailed billing, security, load balancing, clustering along with storage services like data backup, replication and recovery. IaaS technology is focused at enabling the users to implement higher levels of automation for the crucial infrastructure tasks. The IaaS service can be used on demand and the users only have to pay for the resources that are actually used. The IaaS infrastructure makes sure that the resources are available to the users when they need them. Therefore, there are no delays caused in the expansion of capacity and there is no wastage of the unused capacity. As the cloud service provider is responsible for setting up and maintaining the underlying physical hardware required for supporting the IaaS environment it saves a lot of time and effort of the users and ensures affordability. Users working on the IaaS environment can access it from anywhere in the world through the internet; however, they have to abide by the security protocol of the cloud network. There is no single point of failure in IaaS. Even though any one aspect of the hardware resources fail, the service will remain constant and unaffected. One of the greatest benefits of IaaS include the ability to scale the resources up and down quickly according to the needs of the customers. Competition is an important factor in every business sector and faster time to market is one of the best ways to stay ahead of the competition. As the IaaS environment ensures flexibility and scalability, the business organizations can gear up and get their work done faster. Business owners usually have to spend a lot of time, money and energy on making technology related decisions and recruiting staff for managing and maintaining their IT infrastructure. By opting for a service based IaaS model, business organizations can concentrate their time and resources where they are required. Utilization of a pooled server and networking resources is done through which a business can store data and run applications. Growing businesses get the ability to scale their infrastructure according to the business growth. Hosting websites on virtual severs that are created on the pooled resources on the basis of the underlying physical servers. A virtualized network is established that consists of virtual servers that can be used for offering advanced cloud hosting capabilities, enabling enterprise IT infrastructure or for integrating the operations.